Trekking in the Indian Himalayas for the first time? There is a very high possibility that you might experience the following three things. First, there is high probability that your life is going to change. Second, you’ll learn how to survive without the internet. Third, you’ll know the real meaning of the word ‘exhausted’. One thing you’ll need other than good companionship, is a list of essential trekking hacks to help you in surviving the Himalayas without compromising on the ‘enlightenment’ part. These practices are inexpensive and can be useful for surviving your first Himalayan trek. Although, it has been established ample number of times yet there is a need to stress on it time and again for a reason. Hydration is the most neglected aspect when it comes to beginner’s bag packing blunders. Humans can’t survive without water even for a few days. 60% of the adult human body is composed of water. Here are 2 ways to ensure that you are well hydrated on your trek. -Drink at least two glasses of water as soon as you wake up in the morning. -Refrain from using sugary beverages and do not replace them for water. Blisters are a common problem encountered by almost everyone while trekking in the Himalayas and are also the reason they ditch their trekking boots. A lot of friction, moisture and heat is generated when you wear your shoes for a long time. Avoid these by applying petroleum jelly around areas that are prone to blisters and then layer your feet with some snug fitting socks. Ensure that your shoes are ‘breathable’ otherwise there is high probability that all the heat generated during your hike will cause unwanted problems. -Use duct tape to cover an area larger than the hot-spot. If the hotspot is on the edge of your heel go ahead and wrap the tape around the side/bottom so it doesn’t shift or move. Here are a few ways that might help you tackle sprains, that you can possibly encounter on your next trek. – Take all the weight off your shoulders, sit or lie down. Elevate the foot and apply ice to the ankle. If ice is not available, cold water will work. In an area where you can’t find any water then immediately wrap the ankle preferably with an elastic bandage or a t-shirt. This will provide much needed stability to the affected area. Start from your toes and continue upwards. Wrap tightly enough to provide stability, but not so tight that blood circulation is cut off. Start from the toes and wrap upward. 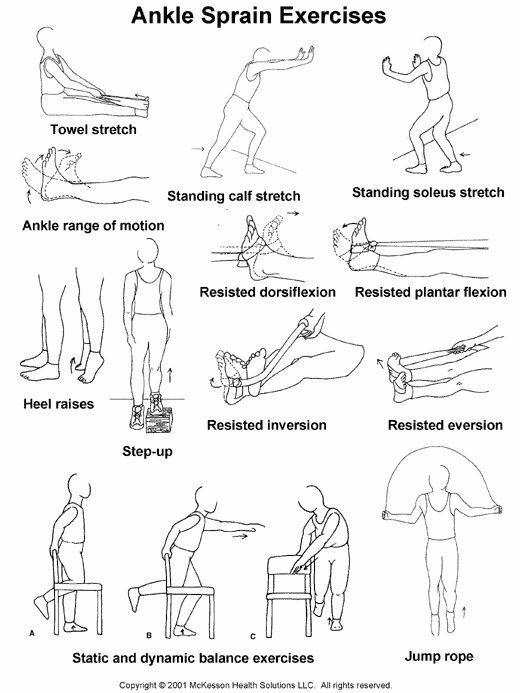 -Strengthen your lower leg muscles by involving few routine exercises. warm- up before strenuous activity. Here is an infographic to get you started. However, all these problems can be avoided if you simply keep your eyes on the trail and be sure-footed. Salty snacks are tasty and help replace the much required sodium your body loses while trekking. It turns out that certain types of snacks are also great for starting fires. We all love chips, but did you know they can be used to light a fire? Chips are high in fat – which equals a high fuel value. Use it to make a fire on a windy night. Also, applying petroleum jelly to cotton balls can be used as a good fire starter. Forgot to wear water resistant shoes and it started to rain right on the first day of your trek? In an hour your shoes and clothes will be drenched, the probability of you stopping in one place for more than a day is very low. Now, you wouldn’t be interested in walking all the way up with a puddle inside your shoes. -Petroleum jelly is a great waterproofing material and can be used to waterproof your shoes. They also help keep the leeches out. You should also ensure that your shoes have breathability so that your feet stay dry inside and outside. Say you forgot to waterproof your shoes, now what? It may be possible to have dry shoes again. -Loosely stuffing your shoes with newspapers plays the trick. The fibers in newspapers will help absorb the moisture in your shoes. 7- Out of light. Out of sight. You don’t want that! Nalgene bottles are made of high-density polyethylene, a sturdy, durable form of plastic. Few people know that ‘polyethylene’ is also a good reflective material. Why are we telling you about this is because these bottles also make great little lanterns. -Hang your head lamp inside the bottle from the brim and add some water. The light simply needs something to diffuse in and ‘kaboom’ you will have a lantern! Always keep track of the weather. At night, watch out for rings around the moon. As the air warms up, it increases the chances of cloud formation and precipitation the following day. Similarly, the type of clouds that create rings around the moon – called cirrostratus clouds – are often precursors to low pressure fronts and precipitation. Which in simple words mean, it is going to rain! Dew on the grass translates to more humidity, making it more probable that it will rain. Also, here is a weather forecasting infographic for your reference. Since there is hardly any insurance provider in India that covers you in the outdoors, it becomes extremely necessary to be extra cautious. With the help of these hacks you can be a little carefree and gallivant in the outdoors, knowing you can still work your way around in the Indian Himalayas. If you know some more tips on a safe Himalayan trek or hacks that could be life/money saver then, let everyone know in the comments section below.